Thomas Delventhal has over 25 years’ experience representing local, regional and national financial institutions. Tom has served as both in-house and outside counsel primarily in the areas of creditor’s rights, commercial real estate and secured transactions. Financial institutions Tom has represented include First National Bank of Pennsylvania, National City Bank and Ohio Savings Bank, among others. In addition to representing financial institutions, Tom’s practice also includes representing commercial real estate owners and developers, court-appointed receivers and debtors in bankruptcy proceedings. Tom’s experience includes hundreds of commercial real estate transactions throughout the country involving all types of properties for acquisition, disposition, finance, development, title and survey analysis, and leasing from both landlord and tenant sides. Tom has a Bachelor of Science degree from the University of Houston and a law degree from Case Western Reserve University. He is admitted for practice in the State of Ohio and before the United States District Courts for both the Northern and Southern Districts of Ohio. 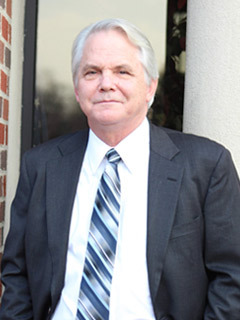 Tom is a member of the Ohio State and Akron Bar Associations.